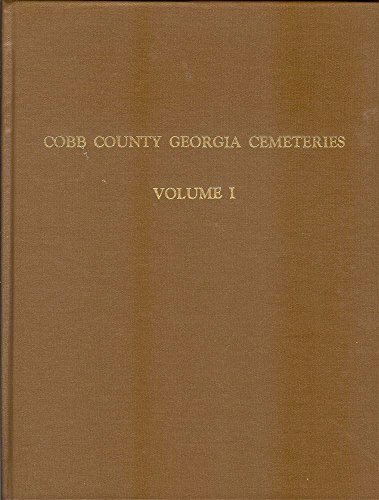 Publisher: Cobb County (Georgia) Genealogical Society, Inc.
A survey of Cobb County, Georgia cemeteries between 1981 and 1984 for Districts 1, 16, and 17. An additional survey was completed in 1998 to have the most current information. Includes maps of the land lots within Cobb County. Also includes Roswell Methodist, Founders, and Roswell Presbyterian cemeteries, which are located in Roswell, Fulton County, Georgia, as they were in Cobb County, Georgia prior to 1932.